They are a part of India’s most famous business family. Married to business magnates who are carrying forwards the Ambani legacy, Tina Ambani and Nita Ambani are no stranger to public eye. Both come from backgrounds having a stark difference and have come into their own owing to their different talents. There are many stories of a lack of camaraderie between the two and it was pretty apparent at Isha Ambani’s wedding where her aunt was hardly seen during the weeks and weeks of festivities. But are the two Ambani bahus same same but different? Have a look. Chhoti bahu Tina Ambani was a celebrity even before her marriage to Anil Ambani. After being crowned Femina Teen Princess India, Tina Munim starred in hit movies like Des Pardes, Rocky, Souten and Baaton Baaton Mein. Nita Ambani, on the other hand, came from a nondescript background and rose to fame after her marriage to Mukesh Ambani. Today, she is one of the well-known personalities in India and a darling of the media. Marriage came with a career setback for Tina Ambani but she took over the reins of several Ambani ventures including Kokilaben Dhirubhai Ambani Hospital, Reliance Group CSR, Harmony for Silvers Foundation and Harmony Art Foundation, Mudra Foundation for Communications Research & Education and Dhirubhai Ambani Institute of Information & Communication Technology. As for Nita Ambani, being at the helm of Reliance Foundation & Dhirubhai Ambani International School and on board as director of Reliance Industries, keeps her busy. As does being an art collector and owner of the Mumbai Indians cricket team of the Indian Premier League. Forbes listed her once as the most influential women business leaders in Asia and she was also the first woman from India to become a member of the International Olympic Committee. 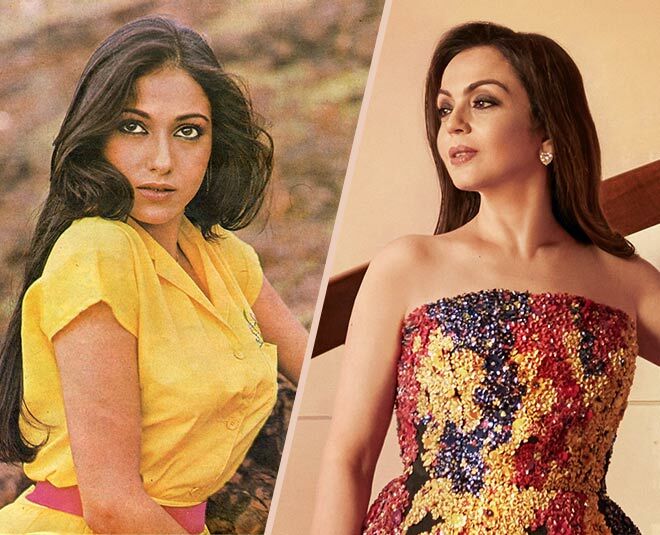 Tina Ambani’s youthful style was copied by many girls in the 80s and her sharp features did set her apart from several female actors of her generation but right now she hardly gets any attention for her dressing sense. On the other hand, Nita Ambani’s transformation from a simpleton to a diva in the style department is still a subject of many memes on the internet and she gives strong competition to her own daughter in terms of styling. While the world knows about Nita Ambani’s three children Anant Ambani, Isha Ambani and Akash Ambani by now thanks to their professional prowess and media publicity of their nuptials, Tina’s sons Jai Anmol Ambani and Jai Anshul Ambani are yet to make a mark. They stay away from the media glare and while older son Anmol has reportedly a net worth of Rs 20,000 crore, Anshul has only joined the corporate world as a trainee recently. Nita Ambani and Tina Ambani may be two powerful figures in the Ambani khaandaan but it is easy to see that they are poles apart in many ways.